WHAT MAKES THE BURN VIDEO APP UNIQUE? We make it simple to create one-of-a-kind HD DVD’s in the privacy and comfort of your own home. There’s no need to make a trip to a big box store to preserve your phone’s pictures and videos and to free up space on your smart phone. 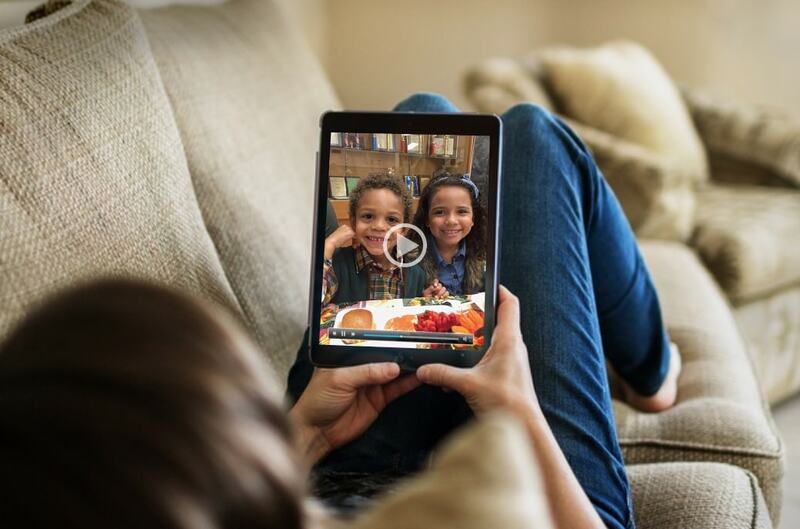 We’re the only app to combine both pictures AND videos onto a keepsake DVD to view just like home movies. HOW DOES BURN VIDEO WORK? 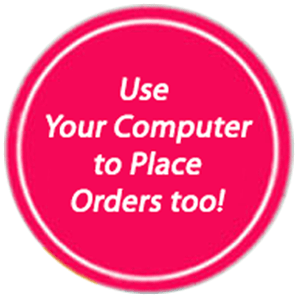 Ordering your Burn Video is fast and easy! Just download the free app onto your smartphone or tablet. Open the Burn Video app and select the photos and/or videos you want to burn onto a DVD. You can even access shared folders and share your files while in the app. Then select a personalized title for the DVD, send extra to family and friends if you’d like and you’re done! Your custom HD DVD is delivered FREE to your doorstep in just days. 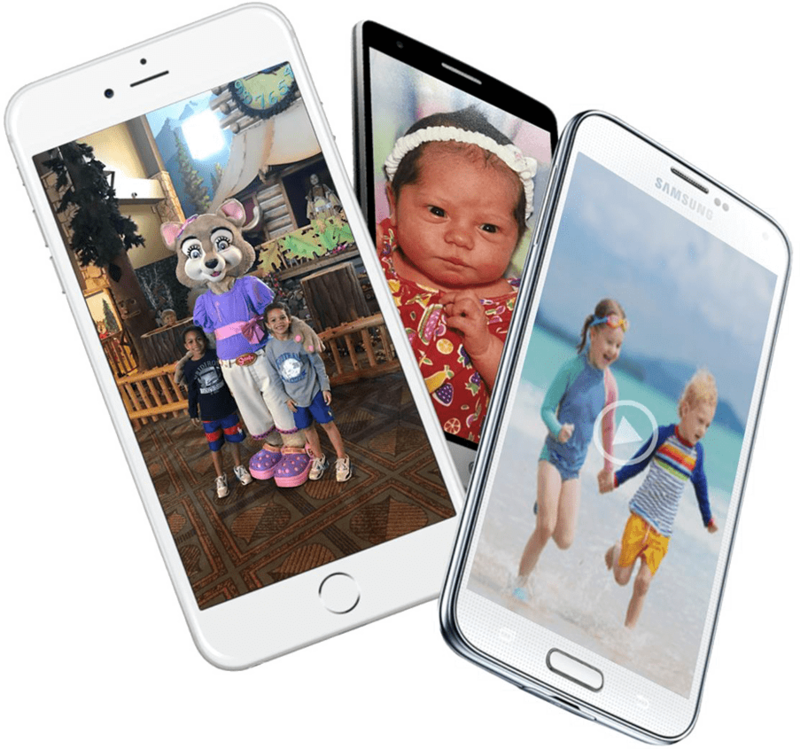 Select photos and/or videos from your phone or from your other accounts like Facebook, Instagram, Twitter, Dropbox, Google Drive and more. After your photos and videos upload, just check out! Your Burn Video will arrive in only a few days to your doorstep. 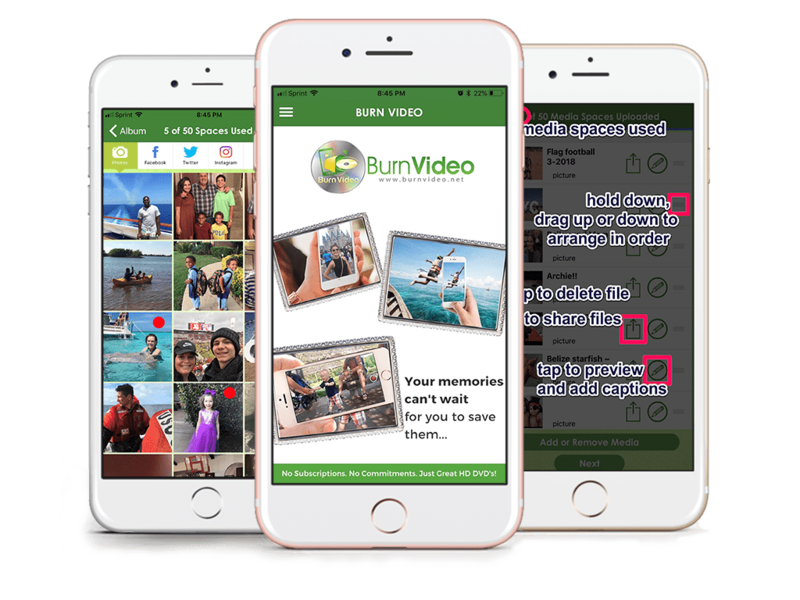 Move media around in chronological order, add custom captions to each file, customize a title for the DVD, add emojis... we offer tons of in-app features for free!